Really! Because being trapped in a marriage makes it better! Megan McArdle dissects this idea from the economic perspective, suggesting that making divorce harder might actually prevent marriages. To make marriage more attractive to both men and women, it would help if the family law system did not make unwarranted assumptions about the intentions of the parties. As someone points out in her comments section, a woman (or man!) who agrees to stay home and care for children deserves in all fairness to be compensated monetarily if the breadwinner dumps him or her. But that kind of arrangement is rare in the modern era, and those who enter marriage under a different division of labor deserve to have their intentions recognized and upheld in case of divorce, which is often not the case. One issue is the single marriage contract allowed by the state and fiddled with by legislators based on their simplistic models of fairness. While prenups can have some effect on modifying the one-size-fits-all treatment by family courts, they are often ignored when the court feels social policy trumps the parties’ intentions at the time of their marriage. It would be better (and encourage men especially to be willing to commit to marriage) if there were a variety of marriage contracts: “Catholic marriage,” indissoluble except in extremis; “Family marriage,” designed to protect planned children and difficult to dissolve until they are of age; “Marriage lite,” perfect for people who want to test their compatibility with a no-fault-divorce, no division of property contract–many of whom would go on to a stronger contract with time. But we’d call them all married and treat them as such legally. As it is now, only the wealthy can afford the serial marriages now common among the upper classes. leaving those with fewer financial resources less likely to marry at all. 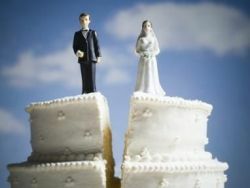 And the government’s strange subsidization of divorce continues; the ACA (“Obamacare”), for example, rewards many middle-income people who divorce by providing both of the newly single with much larger health insurance subsidies. Two people making $30K a year are now penalized to the tune of several hundred dollars a month if they wed. Meanwhile, other benefits have similar (if less extreme) phaseouts and discourage marriage.